Fundraiser and Info Session: Featuring live music, poetry and more. Join us at the intersection of arts and faith in our city. Discover and invest in a one-of-a-kind community outreach; Bleeding Heart Art Space. Featuring live music from Cynthia and Zadok Hamar, an art installation and talk by Carly Greene and poetry readings from Edward Van Vliet. Bleeding Heart Art Space is a community gallery and arts centre supported by the Anglican Diocese of Edmonton, and we need your help to keep this vision moving forward. This event will demonstrate how we have transformed a street-level storefront into an Art Space, Community Space and Sacred Space. Hear stories of the impact we are having in the vibrant, diverse and creative community of Alberta Avenue. Enjoy light refreshments in an informal setting while you experience a variety of arts connected to the Bleeding Heart community. This evening will include an opportunity to become a financial supporter of Bleeding Heart Art Space. 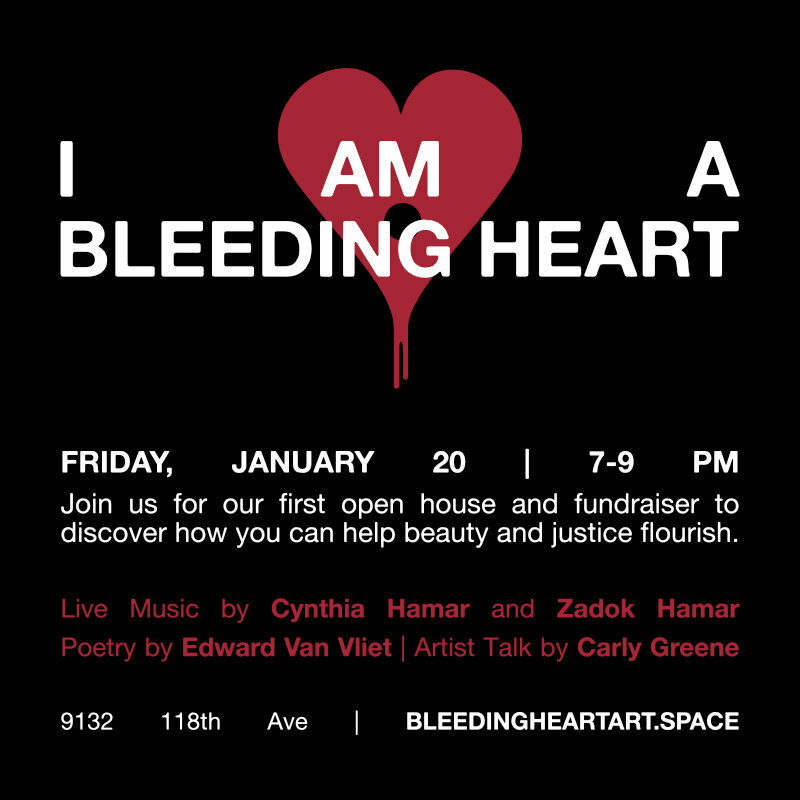 Please RSVP by emailing Dave Von Bieker, Arts Chaplain and Artistic Director at Bleeding Heart, at dave@bleedingheartart.space.